Prepping is a lifestyle choice, one chosen and practiced in order to be ready for crises great and small. Life is a harsh teacher in that it so often gives the test first before it gives the lesson. By making the decision to understand, anticipate and plan to counter these tests, you increase your chances of surviving a bad day. 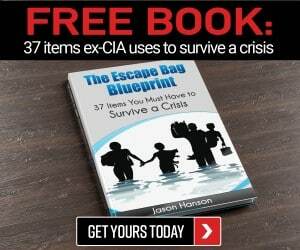 You pack bug-out bags, plan evacuation routes, harden your home and stock it with an abundance of staple foods, drinking water, fuel, light sources and anything else you might need when civilization comes crashing down, and hard. In times of trouble, we will often see the best of humanity rise to the fore: Neighbors helping neighbors and complete strangers risking life and limb for their fellow man. But unfortunately we will also see the worst that mankind has on offer on terrible display. 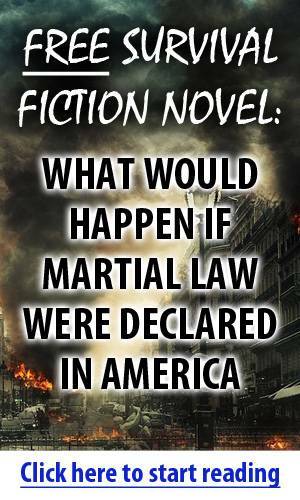 Evil is real, and it will use the chaos, confusion and grief of a crisis to strike without fear or likelihood of apprehension. This is just one more threat you must be prepared for- that posed by malevolent humans. 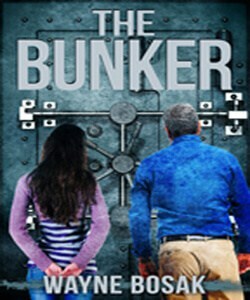 A firearm and the skills to use it will help you keep what’s yours and keep you from taking the room temperature challenge when the evil doers come calling. But having the gun and punching paper at the range is not enough. What you need is a plan, just like any other you’d implement for readiness, only this plan is one of personal growth and refinement in the way of the gun. 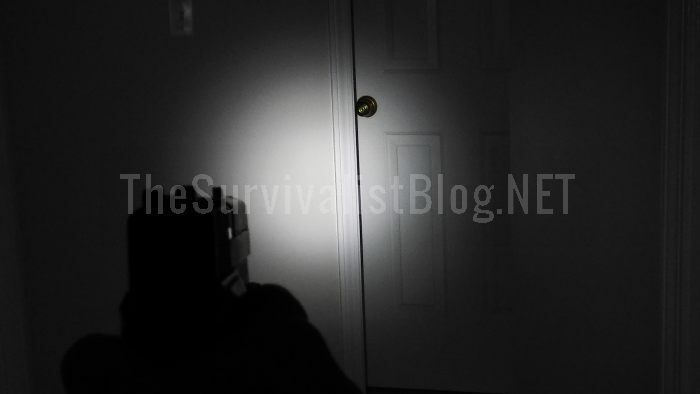 In this article, I’ll provide a roadmap to help speed you on your way from armed-and-present to sharpshooting survivor. If you are a long-time gun owner who has never made it a point to undertake serious training or a clueless neophyte to the mysteries of the firearm, take a moment to give yourself a pat on the back: whatever your reasons for coming around to it, this is just one more way you are taking responsibility for yourself and your family’s outcomes, no matter what happens. Good job! Understand this, however. It does not matter how long you have been “shooting” or a gun owner if you have not been deliberately improving your skills with the intent of making you better in a fight. I myself have seen way too many “old salts” who were never truly tested talk an awful lot of trash and fall apart like a flea market bigwheel when a little pressure got put to them in a class or at a competition. Dead-eye Dan bullseye shooters so confident in their ability to knock a match head off the stick at 25 yards literally standing dumbstruck when their pistol malfunctions while the clock was ticking. Yeah, I hear you, “just a timer.” You are right. Guess what: the clock will be counting down on your life in a fight, too. American shooters are notorious for believing erroneously in their own supremacy with a gun, that they will rise to the challenge. Yeah, they might, but the vast majority does not: they can and will only perform to the level of their training. If your default level of training is “hodgepodge of YouTube videos” and “slowfire at range once a month,” I would not bet the farm on your abilities when the chips are down. You are mistaken if you believe that the best shooters have some innate talent that makes them so, or are the carriers of some steely-eyed gunslinger gene or something like that. Likewise, poor shooters simply suffer from a lack of knowledge and practice, nothing more. The vast bulk of any amount of high shooting skill is the fruit of knowledge and skill earned by applying that knowledge in dedicated, deliberate, focused practice. Development of shooting skill is no different really than swinging a golf club or a ball bat in that it takes a certain amount of coordination to execute the proper steps in the proper order. With enough correct repetitions procedural pathways become ingrained and it will seem to be as easy as riding a bike. Of course, it will be harder in the middle of a fight for your life with a human attacker who is trying to kill you, but a vital ingredient for success in that endeavor is a high baseline level of skill, so that’s where we will start. Anyway, by starting with the desired end state in mind (the goal) you can essentially reverse engineer what it is you need to work on in order to attain it. Let’s look at an average fight involving a gun in the hands of a civilian defender. What are the most common threads we can observe? Low light, sudden occurrence, short duration are some. Moving targets at close range are two more. Win, lose or draw, most fights will be concluded within a handful of shots, either the attacker stopped or driven off. Getting those rounds headed into the attacker as accurately and quickly as possible from concealment is essential. So knowing all of that, what does our “map” look like? A serious civilian student of the gun will strive to become competent in a variety of skills according to the nature of the threat expected. The threats a civilian faces are not the same as those soldiers face, and not precisely the same nature as those our police officers face. If you are not a professional gunslinger or interested and motivated by firearms training as part hobby, you have to make choices according to your limited time and budget. This makes prioritization of training efforts essential for success. Start at the very beginning with a self-assessment. Do not let any ego or other emotional baggage sully what should be a clear and uncompromised view. You will be dealing with a deadly, powerful tool at speed and under stress in your quest for proficiency. Is your gunhandling where it needs to be, with no safety errors or undue risks to yourself and others? If not, you must seek out appropriate training or practice diligently to remedy these flaws. Nothing else is acceptable. Assuming you have a rock-solid level of safety in handling and a good foundation in basic skills, you should be seeking to grow your knowledge base and push yourself into new information. Any class you are planning on attending should have a robust “classroom” portion (even if it is conducted on the range) explaining the principles of what you will be doing and plenty of live fire drills to start putting it to practice. Your first stop, assuming you plan to concealed carry regularly, should be a concealed carry methodology or skills class, one where you will perform all evolutions on the firing line from concealment. Take pains to dress as you normally do and carry the gun and holster you EDC for this training, as it is some of the most valuable a citizen can attend. A good CC instructor’s class will have strict standards on par time and accuracy. As a supplement to this training, or perhaps even a part of the class depending on its length and cost, you should engage in intermediate or advanced handgun skills training that features shooting on the move, from various positions (prone, supine, other compromised positions, etc.) and moving targets. Again, all of this should be done from concealment if you plan to carry concealed. No cheating with an OWB rig worn openly! You are only shorting yourself. Progressing from here, simple scenario based training involving moving through and shooting in structures and in and around vehicles is a skill of great importance to a civilian, since significant fraction of our lives will be spent there and we are disproportionally vulnerable to attack in transitional spaces going in or out (i.e. doorways, vestibules, stairwells, etc.). 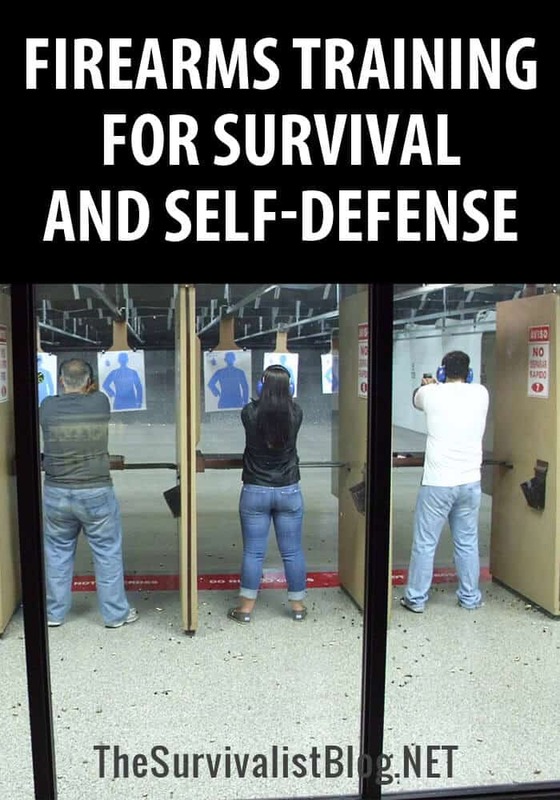 Once you are training these skills you should be placing emphasis on target discrimination; not every potential threat is actually a threat in the end, and if you have always been firing at a target when the gun reaches full extension you are training in a neural pathway that may result in disaster if it turns out that “bad” guy just had a phone, not a gun. 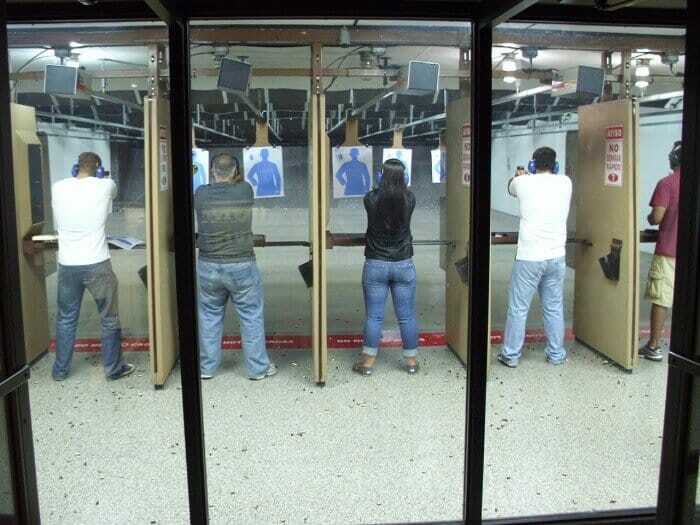 You must be practicing accordingly: see the target, analyze and decide if they are a threat based on their posture and what is in their hands. The penalties for shooting someone who did not need to be shot are unimaginable, legally and morally. This business affords you no room for error. At last, once you have trained to this level and made it a point to train these skills to fluency you should seek out real opposition in your training, scenarios against another human. No, this is not some “Running Man” event, I am talking about Force-on-Force training, or FoF training as it is commonly abbreviated. FoF-type training uses other people, either students or adjunct instructors as opposition in situations running the gamut from simple drills and sparring evolutions (that are anything but easy) to full scenarios that are completely open ended and may be completed, pass or fail, in any number of ways. This type of training is expensive, and there are few trainers who can really do it justice so that it does not devolve into some cowboys-and-indians style shenanigans, but what it offers is priceless: damn near real stress, levels, serious exertion, and all the surprises and deviousness of thinking, breathing human. Weapons involved could be simulator guns, knives, blunt weapons, or good old wrestling and fisticuffs. Safety gear is always mandatory for this type of training, but intensity will range from half-power to 100% full strength. For integrating everything you have learned and finding failure points, there is nothing better short of a real-life fight. If all of this seems like a tall order, that’s because it is. The stakes are too high to trust to luck and basic competency. Sure, the huge majority of attacks on civilians are concluded the moment that the would-be victim deploys lethal force in response- hey, most of these guys would rather live to rob another day- but it is folly to count on facing some low-level beta scumbag when you might, terribly, be facing one of the real wolves. I have been talking solely about handguns this far and many of you probably noticed that long guns went conspicuously unmentioned. That’s on purpose. First, much of what you learn with a handgun can be applied to long guns for self-defense, different manual of arms notwithstanding. Second, I am a really big believer in reality based training, and since, for so many of us, it is the handgun that we will have on our hip or close to hand when danger strikes that is the tool we should be investing most of our time and funds in developing skill for. I always scratch my head when I see civilians attending advanced rifle or shotgun courses since they are more fun but they have not taken the time to attend an advanced handgun skills or concealed carry concepts course. 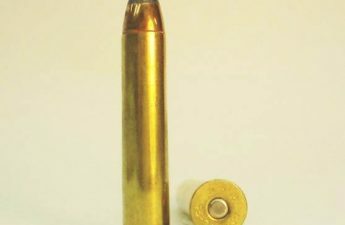 Don’t mistake my words as a condemnation of long guns for prepping or civilian self-defense, as nothing could be further from the truth, but if you rely on a handgun for the majority of the time, it is no stretch to call that your primary weapon and your primary weapon should get the lion’s share of your training budget. Even so, proficiency with long guns is something very worth building. 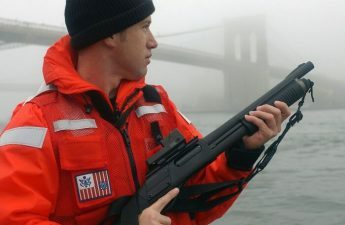 Compared to literally any handgun, an average rifle or shotgun will be far easier to fight with and produce a far greater effect on the attacker. For home defense, in most settings and situations, either will confer great advantage over a handgun for repelling invaders. 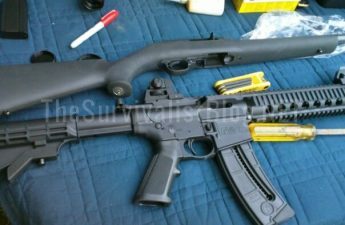 Now, using a long gun in close quarters is its own skill and requires some science of its own, but is generally easy to acquire assuming you are building off of a solid handgun foundation. 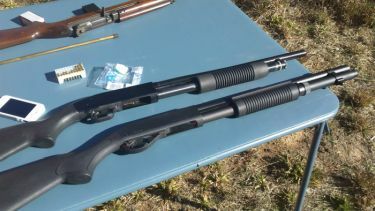 Digging into the pros and cons of rifles and shotguns is the subject of an entirely different dissertation and I have written about both extensively right here on TSB and elsewhere. Be sure to check those articles out also, especially if a long gun is your primary defensive gun. More than a little bit of your time will be spent in locating and vetting the right teachers to train you. Making sure that they are qualified, having both the right professional experience and supplemental education as well as capable of transmitting that information to you in a way that you can make use of is crucial. Be very wary of any would-be instructors who seem to be out of their depth as there are way too many instructors who put up a shingle teaching courses they have no practical experience in. Military and police backgrounds are always a good thing to look for in a trainer, as is extensive competition experience if you are looking to refine the nuts-and-bolts technical skills of shooting. But none of these mean that someone is a good teacher, and you should take care to look into references and seek out reviews and AARs online before committing to a class. Also take care that a trainer’s military or police service is relevant to the subject matter before you give it undue credence: a fighter pilot or artilleryman may have an exemplary service record, but little or none of it will have involved shooting people at close range with small arms. Ask them how long they have been teaching privately, what their best and worst disciplines are, and why they are qualified to teach you what you want to learn. A good teacher will be humble, and should not take any offense at reasonable questions from a discerning customer. Any obfuscation or attitude here should be treated as a warning sign. Luckily, we live in an era where the combined experience, military, police and private sector, from over 18 years being at war has resulted in prodigious pool of talent, and there are many world-class teachers who are based in various parts of the US and also give travelling classes. With a little homework and investigation you should have no trouble at all finding the right teacher for any skillset imaginable. Just having a gun or having shot them casually for years does not make you ready to face the rigors of a life-or-death struggle. The time to prepare is beforehand, as with anything, and hope for the best, because hope alone is not a strategy. The right training will provide you with the knowledge and skill that you may continually refine and hone with consistent practice. Doing so is the only way to be truly prepared, or at least as prepared as you can be, to shoot for survival. I agree with your article. Practice is critical for many people, particularly when a new and/or complex skill is being learned. There are three domains of learning: audible, visual, and tactile-kinesthetic (touch/hand-on). I am a very strong visual learner. Shooting is a very strong tactile-kinesthetic skill set. Learning physical skills for me is very difficult and requires much practice to master. However, it can be done and I have learned many physical skills through sheer practice and repetition. Another lucky thing for me, is once mastered, I tend to retain the skill. For some silly reason, the occupations I got myself into require a lot of physical skills. Military, police, and paramedic. Moreover, in police work I got into firearms and defensive tactics instruction. Boy, was that a lot of work, sometimes painful. But I mastered what I needed to master. Pretty well too, if I say so myself. I attended a sub-machine gun course instructed by a couple of Navy SEALS, then in the reserves, but both former active duty, one had been an operator in DevGru (aka: Team Six). Great course, lots of moving targets, moving shooters, weapon transitions, etc. The final test was really tricky, involving everything we had learned and was graded by speed and accuracy. Accuracy was weighted the heaviest. The ex-Team Six instructor ran the course first to show us how it was done and to set a baseline score. I went second and outscored him. Everyone else in the class too. I ran a little slower, but I out shot him. This from a guy who was lucky not to drop his M-14 when doing manual of arms in boot camp years before. I guess my main point is that perfect practice makes perfect. When learning a new and complex skill set like shooting on the move, or at moving targets, or both at the same time, you must have skilled instructional staff supervising and coaching.